Atindriya Bose talks about the launch and the future of the PlayStation 4 in India. 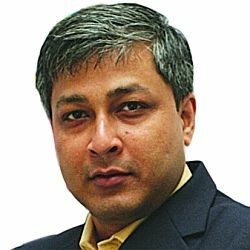 With the global launch of the PS4 just around the corner, we chat with Atindriya Bose, Country Manager, Sony Computer Entertainment and see how he is gearing up for the launch of Sony’s next gen gaming console in India. 1. The PlayStation 4 will be released on November 29, 2013 in Europe, Australia and New Zealand and on November 15 in the US and Canada for $400. When can we expect the console to launch in India and at what price? Recent information suggests that the launch of the console has been delayed due to the fluctuating rupee value? Will this affect the final price of the console and its games? India launch date will be declared at a later stage. The segregation of the launch dates has been done to have the best launch possible in each of the territories backed by adequate stocks available at launch date. The India launch date is being planned based on the logistics requirements and local market planning. The current exchange rate fluctuations mean that we will be able to declare the final launch price (both for the console as well as the games) at a date closer to the launch date. 2. The PlayStation 4 has already surpassed 1 million pre-orders worldwide. How has the pre-order situation developed in India, considering Game4u has listed the console for pre order? Without a declaration of a launch price point, we are yet to start any official pre-order campaign for India. The different retailers have taken their own initiative for running the pre-orders. We are extremely happy with the initial responses and interest level from Indian gamers towards the PS4. This provides us with a high level of confidence to a very successful India launch. 3. Hanuman and Ra One were marketed as games made in India for Sony’s console. Will we see similar activity for the PS4? It is too early to comment on the India specific game development on the PS4 platform. Our last few launches on the PS3 from the Indian game studios have been in this fiscal – Move Street Cricket 2 (BD & PSN), Dare to Fly (PSN), Kite Flight (PSN). The competence of the Indian studios on the existing PS platforms, success level of Indian IPs, developer friendliness of PS4, focus on indie developers: all the key parameters seem to be suggesting an even higher degree of success of many of the Indian developers, going forward. 4. How are you aiding Indian developers to make games for the PS4? Can you name some of the studios in India and the games they are working on? There is no immediate declaration or comment to be made on this subject. 5. Will there be a migration program for gamers who have a PS Plus account on the PS3 to the PS4? Will gamers be able to download games they have already purchased on the PS3 on the PS4? PS Plus is an integral part of the PlayStation world and single membership fee covers all the platforms (PS3, PS4 and PS Vita). 6. Any content partnership with Indian content providers for movies, TV shows and more? Cable TV streaming in India via the PS4? We do not have any immediate comments to make on this. 7. Any India-specific marketing campaigns for the PS4 lined up to bring about consumer awareness of the console? Any celebrity endorsements we can expect? India will definitely undertake complete launch marketing for such an important platform like PS4. This will focus on proper launch events, communication packages and experience zones to showcase the power of PS4. 8. In the face of the falling rupee, and increase in price of the games, how are you planning to combat low sales of hardware and software? The existing distribution spread as well as the inherent popularity of the PlayStation platform hold us in good position to tide over the current market tightness. The exchange rate pressure on the pricing reduces flexibility but we are focussing on defining the complete benefits of gaming consoles and PS3 becoming the central driver for home entertainment services. Also, we have undertaken local manufacturing of PS3 game Blu-ray discs and have rolled out a substantially large series of titles at INR 999 under the Essentials’ banner. 9. Any content/console bundle for current PS3 customers who wish to purchase the PS4? No specific plans have been chalked out yet. Our primary focus now is to have the PS4 launch with adequate availability for both the consoles as well as the launch titles. 10. Playing multiplayer was free on the PS3. But for the PS4 you need to have a PS Plus account. Why the decision to charge for the service? Do you think you will lose some audience because of this decision? 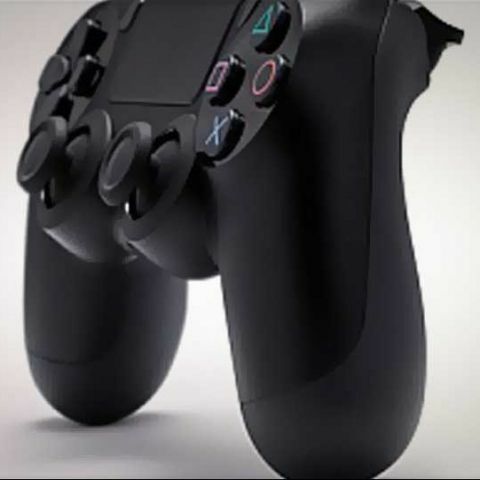 PlayStation 4 features a significantly enhanced online feature set, including fractional game data downloads allowing users to start playing immediately, PlayStation App, multi-device connectivity and sharing images and videos to their friends on social networking services, that will deliver incredible new gaming experiences. We are investing heavily into our network to enable these features and offer a more robust network. Given the complete perspective, I do not think the gamers will have any issue opting for the PS Plus subscription. Already, the traction for PS Plus on the PS3 platform has increased in India with the realisation from the subscribers about the amount of free games and content they become entitled to.